I saw this picture in a book I’m reading, Walking With Garbo. This was just one of the many photo shoots she had to do for MGM when she was starting out in Hollywood. Apparently on this one she made a bee line for the bathroom and had to be “thrust into the cage”. Poor girl. 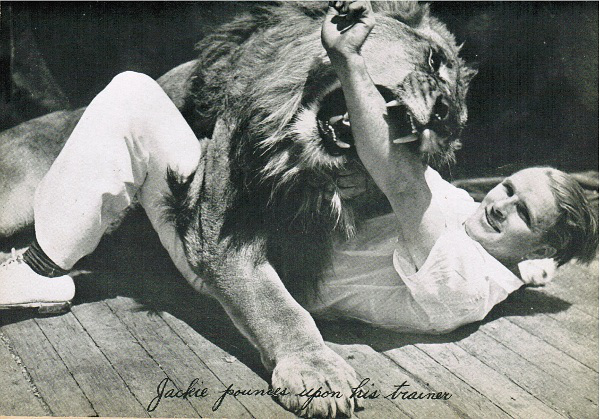 This is the same lion with a trainer. I am never getting that close to a lion. 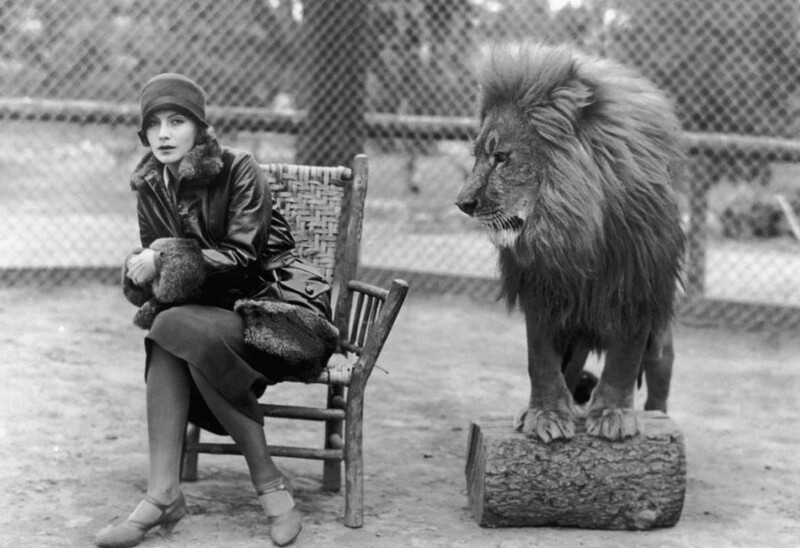 This entry was posted in 1920s, Hollywood and tagged greta garbo, lion, mgm by Kit. Bookmark the permalink. Reblogged this on Famous Quotes from the 20's & 30's.